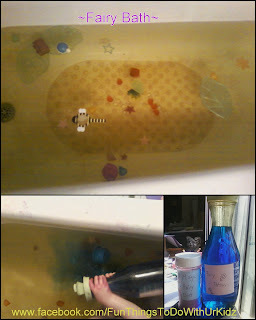 and a "magic" fairy potion (just water dyed with blue food coloring and small amount of glitter) Also changes the color of the water once put in, really fun. Glitter and glue spider web. A twist on spin art! Two more hand print ideas!